The holidays are here! But between the decorations, the holiday cheer, and time spent with loved ones, many people often forget that your teeth still need care and attention. Yet many of the things we all love so much during the holidays can actually be damaging to your teeth! 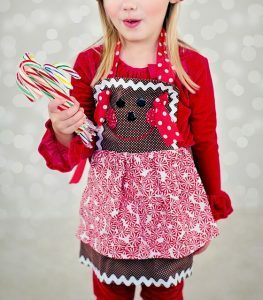 Hard candy, such as candy canes, butterscotch candies, sourballs and other hard candies are primarily a risk for your teeth if you try to chew on them. Much like ice cubes, chewing on hard candies can lead to cracked or chipped teeth. These are both painful in their own right and expensive to fix. They’re doubly threatening if you’re away from home and your usual dentist, as you might face the unwelcome choice between spending a lot with a family dentist you don’t know and being in pain during the holidays. While not threatening immediate damage in the same way as hard candies, very sticky or chewy candies can cause damage in their own way. Between the stickiness and sugar, these candies can cling to your teeth and feed the bacteria that cause tooth decay. Also, sticky candies such as caramels can even pull out fillings if you’re not careful. We know you may want to indulge in the parties this season, and while we obviously recommend drinking in moderation, another important aspect from a dental perspective is understanding what particular alcohols do to your teeth. If you’re a lover of red wine, you might be in for a staining surprise. Red wine, much like coffee, contains pigments that naturally stain your teeth. In order to counteract this, it is best to eat food and drink water while consuming red wine to minimize potential staining. In addition, brushing as soon as possible after drinking red wine can mitigate the staining. White wine, while not staining your teeth, has more sugar than red, and thus raises many of the same concerns as sodas or candies. Overall, the most “tooth-healthy” alcohol to drink would be vodka, as it will not stain your teeth and does not have added sugars. Alcohol, however, is very acidic overall. This means that you need to make sure you’re eating tooth-healthy foods to counteract those effects and protect your enamel. With all the food available all day long during the holidays, the stage is set for us to eat a lot in small doses. The trouble is, for your teeth, this increases the chance of tooth decay from constant exposure to food. So be sure to brush more often during the day to help mitigate the risks from “grazing”. But most of all, enjoy your time with your family and friends and remember that the professionals at Longmeadow Family Dental Care are always here to help! Happy Holidays from all of us at Longmeadow.